In 2011, Rilber Li left the Audi dealership with an all-new A4 Avant. Optioned just the way he liked - black on black - most would find that adequate. In fact, for a time, it suited Rilber just fine. However, now, 4 years later, Rilber can point to little in the way of what's left of his once-stock estate. The exterior has been molded and shaped, sculpted to his liking. The interior has been fine-tuned, suited to his tastes. The car's mechanicals have been modified, built to to order... and the result is an Audi A4 that stands apart from any crowd. We've watched with eager eyes over the past four years as Rilber's Avant has taken shape. 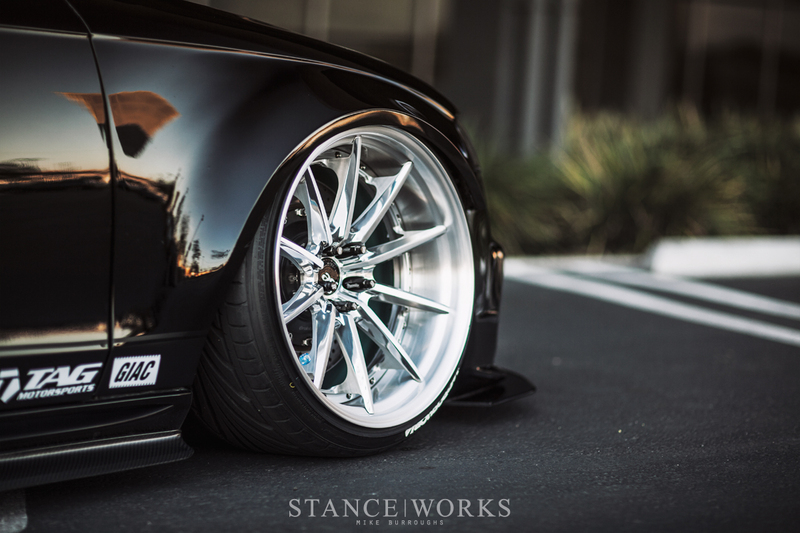 Several sets of wheels, suspension setups, and overall styles have come and gone, but it seems he's finally happy, settling on a style that blends aggressiveness and flashiness in a way few featured cars have. As we allow our passion for the classics to take hold, its rare that new cars grab us, but for Rilber's wagon, it proved hard to turn away. 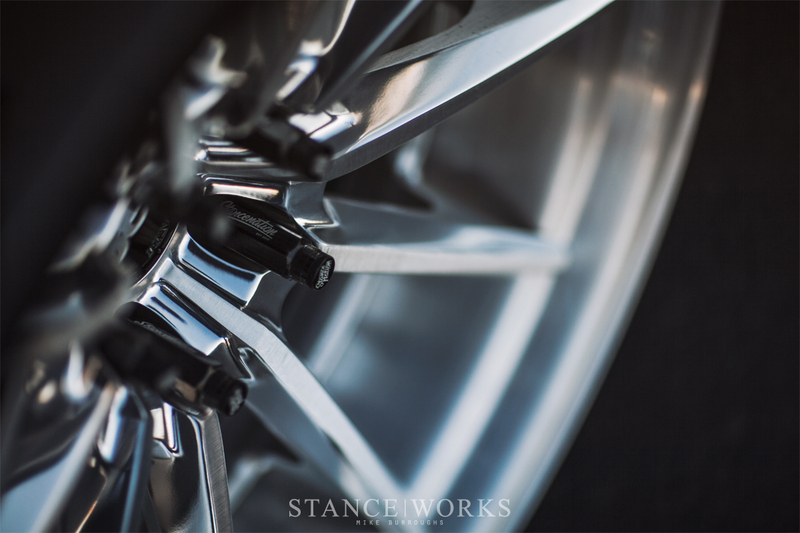 The car's most recent debut took place at SEMA, where it caught the attention of more than just a few major media outlets, ourselves included. 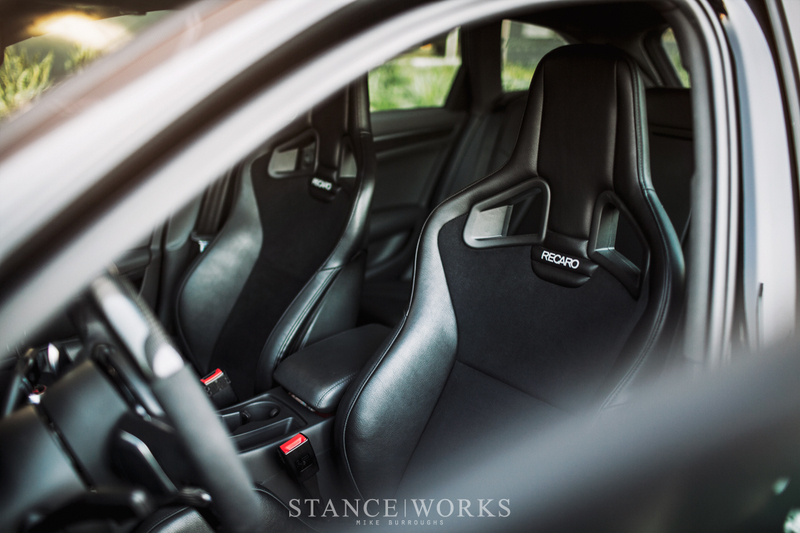 While the styling and attention to detail are reason enough for an in-depth look, its the work involved that takes Rilber's car above and beyond, and more importantly, here to the pages of StanceWorks. Paramount to Rilber's build is the all-metal custom wide body, which acts as the car's centerpiece and focal point. Clad in deep, black paint, it offers an unobtrusive yet substantial change to the car's factory lines and shape, playing upon the lines originally penned by Audi. In fact, in factory form, Rilber's car could be perceived as a "grocery getter;" however, that's far from the case here. 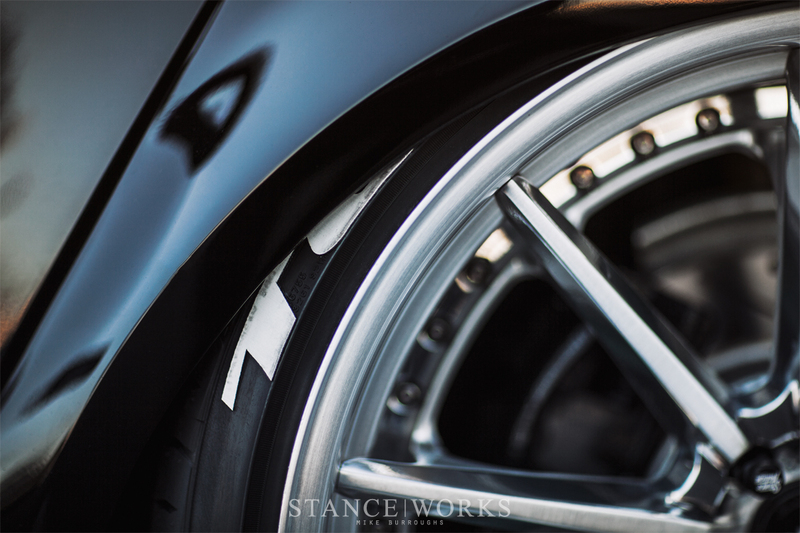 The arches play a crucial role in establishing the car's presence, which is by all accounts, completely unavoidable. Audi's well-established aggressive styling is aided by Rilber's choice in mods, and the low-slung stance, wide haunches, and overall demeanor only further cater to the car's imposing confidence. Hidden beneath the massive arches is a custom set of AG Forged 20x11.5" F522-SPEC3s: a square setup to place nicely with the car's Quattro system. Finished with brushed & polished faces and lips, and accented by tiffany blue inner barrels, the wheels play rather loudly against the dark exterior. Although monochromatic at first glance, a closer look reveals the touches of color. The A4's exterior is further complimented by a Caractere B8 front bumper, rear diffuser and roof spoiler, as well as a set of Enalaes EB8X carbon side skirts, a custom front lip, and several other subtleties. However, the roof rack rails pull on the reins of pugnaciousness, bringing the car back to the realm of approachability. Inside the car, the standard "wagon" vibe has been done away with entirely. 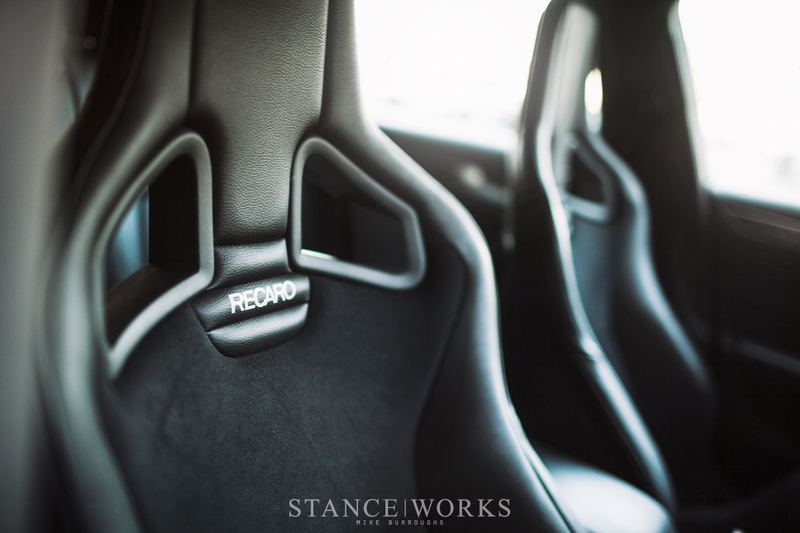 A serious set of Recaro Sporster CS seats with Dinamica suede replace their "comfortable" factory counterparts, and are accented by details such as the carbon and alcantara steering wheel. Hints of carbon and suede are found throughout the car's insides, giving a complete theme to Rilber's vision of a sport-saloon-meets-show-avant hybrid. 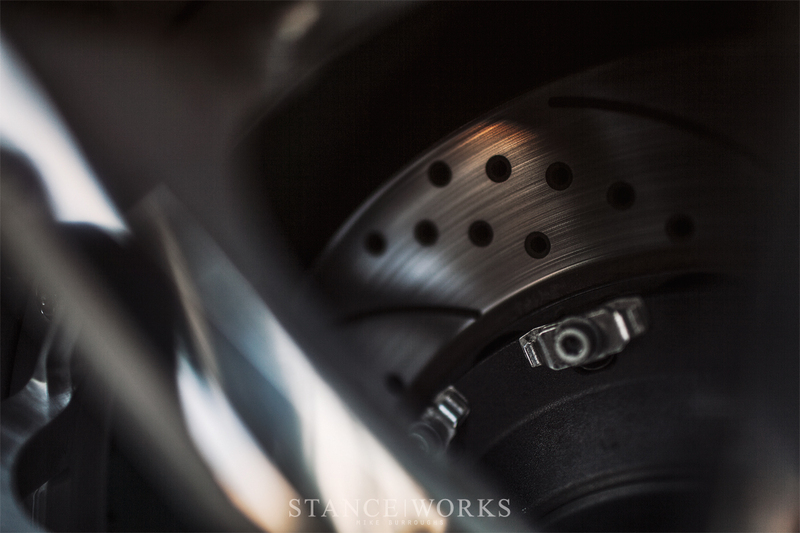 Diving in further, the car is wrought with additional goodies, such as the "Rolloface x iAcro" 8 pot brakes. Behind the wheels, air suspension and digital management provide the ride and control. Under the hood, AWE components offer both bark and bite. Rilber aims to leave little left untouched, and after a walk around the car, it clearly shows.